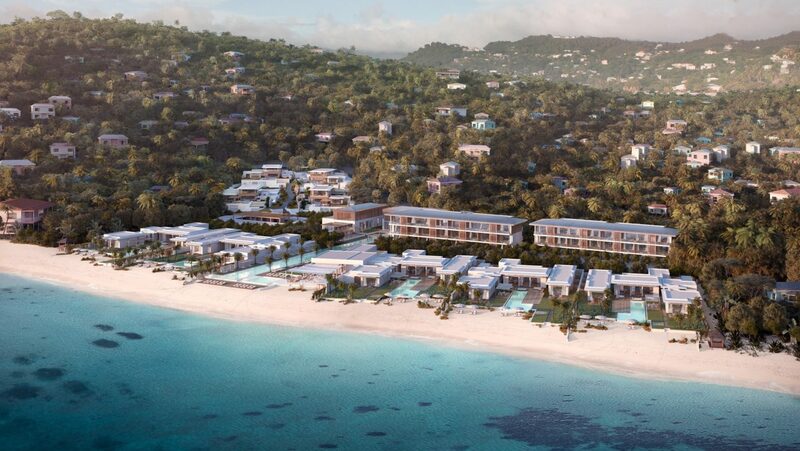 Allowing complete surrender from the outside world, Silversands is inspired by the natural beauty of Grenada, the “island of spice.” Its construction marks the first major resort project on the famous Grande Anse Beach in more than 25 years. 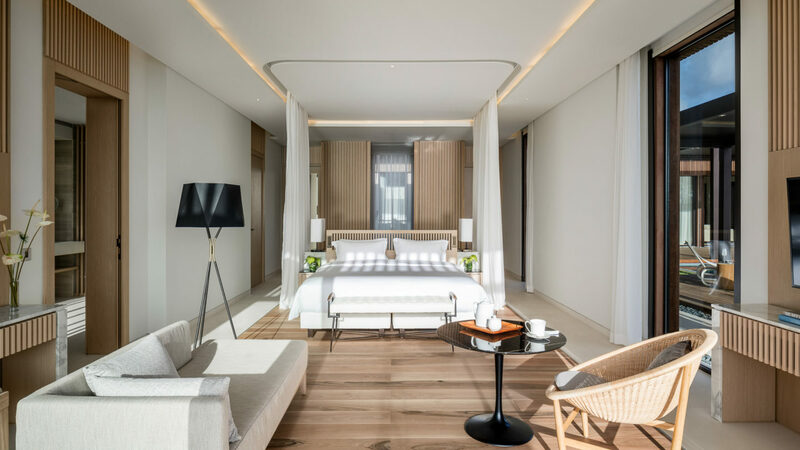 Guests are welcomed into spacious junior, one-bedroom and penthouse suites (44 total) architected and design by the Parisian firm AW², led by Reda Amalou and Stéphanie Ledoux, with clean, modern lines where the centerpiece is the view out to Grenada’s true blue waters and white pearl sands. 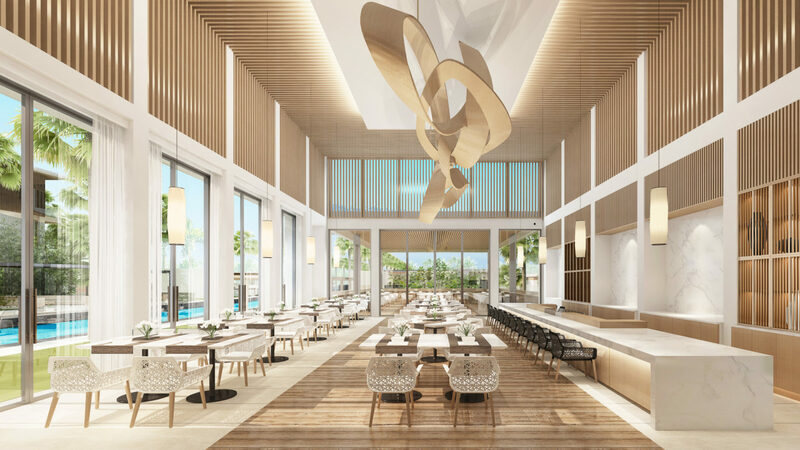 Amenities are comprehensive and include a sparkling swimming pool, a Thai restaurant and grill/beach club, a lounge bar and cigar club, spa treatments, fitness facilities and beach access complete with sun loungers and water sports. 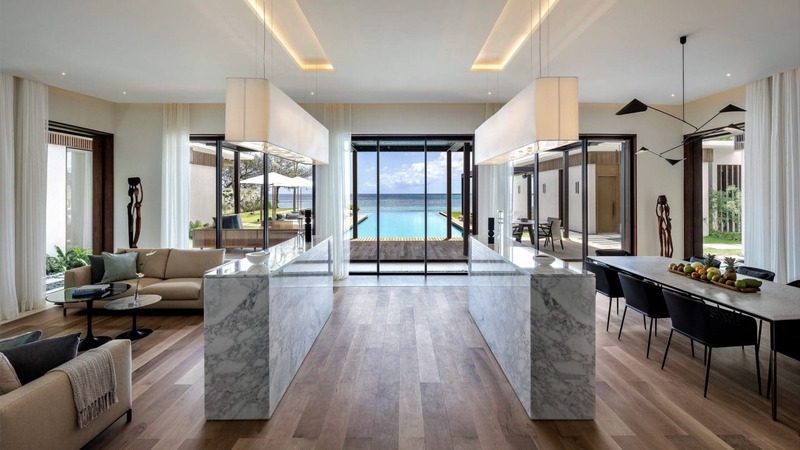 For those who may never feel the need to check out, nine expansive and exquisitely appointed beachfront and hillside villa residences take escapism one step further. A long-time Caribbean secret, Grenada allows for a complete escape, one that offers a true sense of place and opportunities to relax as well as interact with the residents and wildlife of the island. 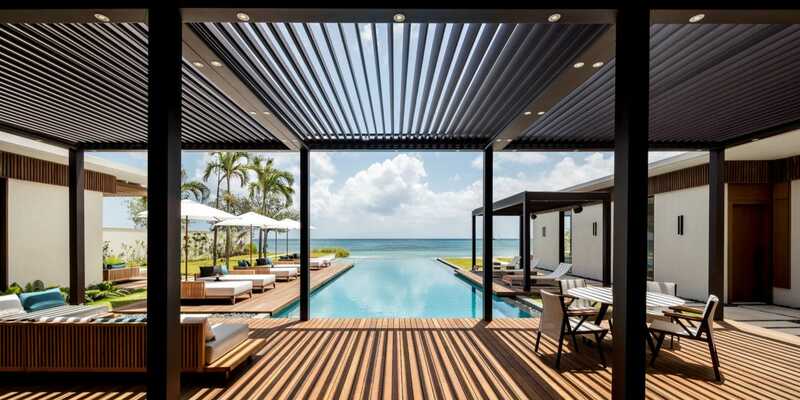 The resort has been laid out to take advantage of the stunning sea views, and specifically designed to enhance and insure privacy. 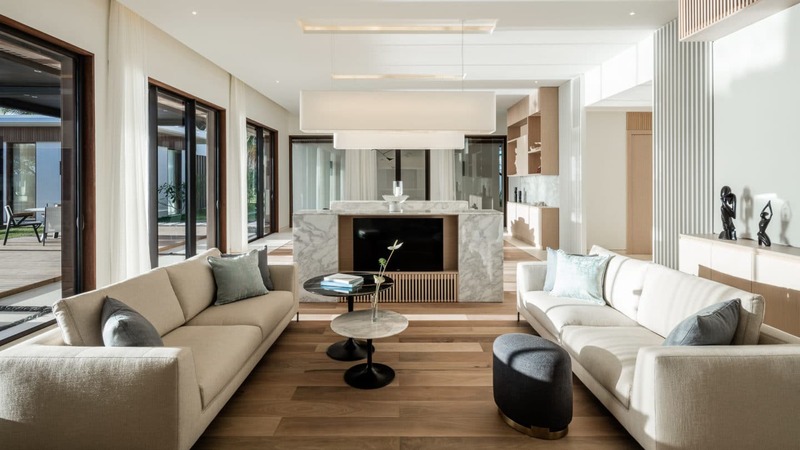 The architecture is simple in form and material, full of unique spaces for meeting others or providing isolation from the stress of the world. 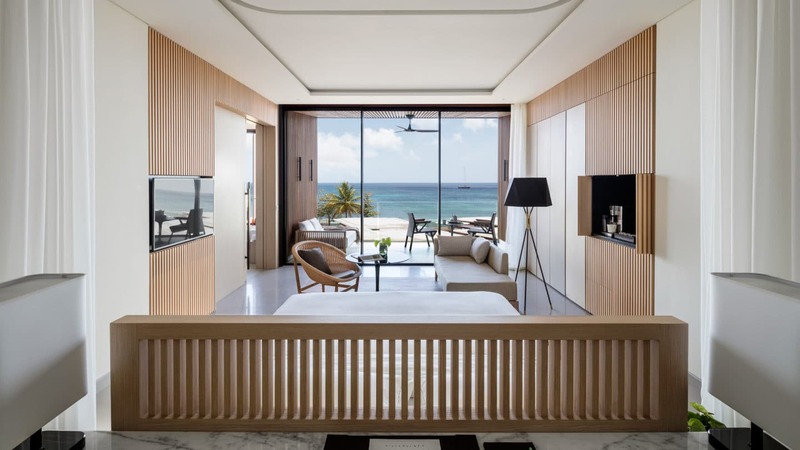 The 52 villas and suites are designed to create a series of indoor and outdoor spaces to take advantage of the stunning weather, gorgeous vistas, and the spectacular beachfront. 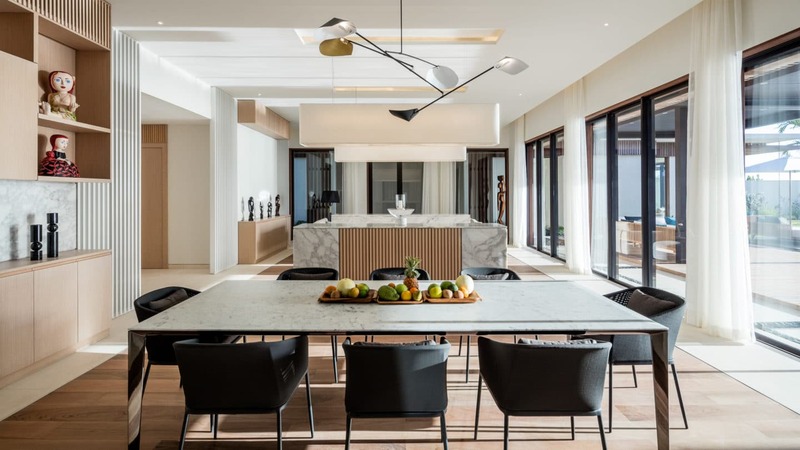 Accommodations include 39 open floor plan suites, three One-bedroom Suites, a Penthouse Suite and nine villas all of which feature private pools. Maurice Bishop International Airport (GND). Point Salines International Airport is a regional private jet airport. Silversands is located on the “spice island” of Grenada on Grand Anse Beach.